I'm selling my Fight Light setup in order to help pay for some college stuff. Sad to see this go, but ya'll know how it is. This gear is slightly under 2 years old. Only been fielded a few times. For the last year or so it's been sitting in a container in my closet. So it's time to go. Below is the breakdown of the asking price of $524.00. This price is OBO. I'm not open to any trades because money is what I'm after. Face-To-Face meetings are preferred. I can meet you anywhere from Northern Kentucky (Alexandria and above) to Dayton, Ohio. I can also meet you in the Bowling Green/Toledo area during the week. Cash is also preferred. The PC itself is size large. It's fully adjustable. 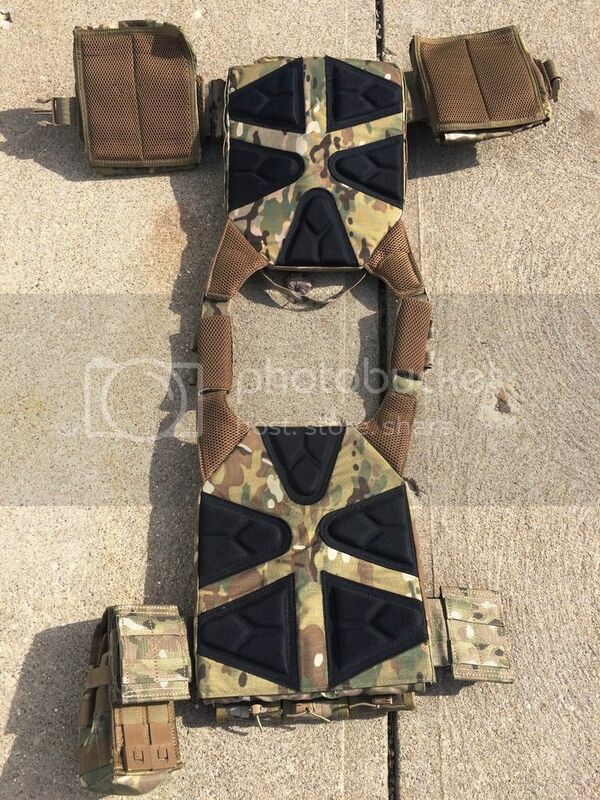 Color/pattern is Multicam. Very breathable and comfy. If you've never seen one of these, look up some reviews on youtube and you'll understand why a lot of people love this PC. It's so damn light and perfect for hot days. When cold, it can easily be loosened (even on field) to allow more clothing under the PC. The greatest part about this setup is that it can work for almost ANY weapon you have. The HSGI Taco Pouches will fit almost any rifle magazine. I've run AK mags, M4 mags, G3 mags, and G36 mags. They're outstanding. 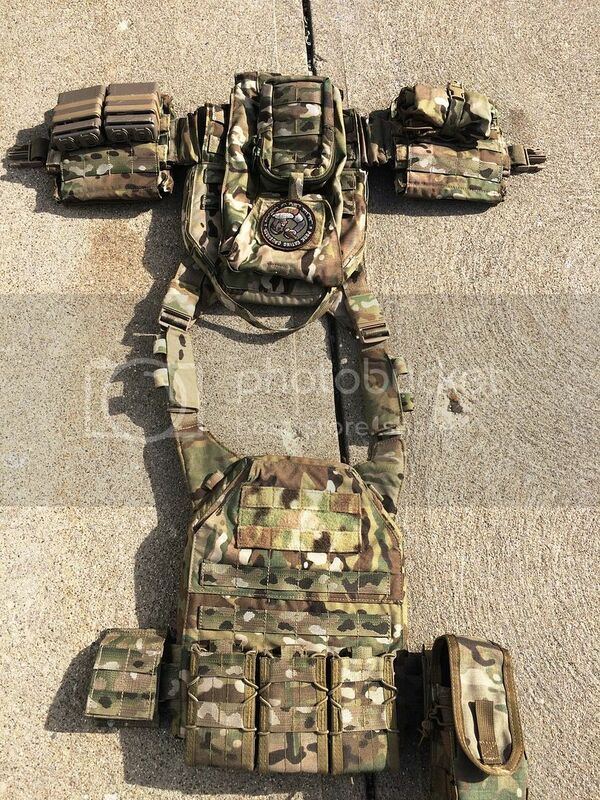 This is an excellent setup for those who prefer speed but like the setup a plate carrier brings. I don't have time to put it through its paces, so maybe one of you guys can. Please contact me here by messaging me or through my phone at (513)-265-8619. I'll answer any questions to the best of my ability. Thanks for checking it out.